You can achieve this by setting up conditional logic. In this case it would make sense to only show the email/phone field when that corresponds with the option chosen in the 'How should we contact you?' field. To achieve that, we need to enable conditions for the Email and Phone fields. This can be done in the additional settings. Next up, you'll need to specify the logic type. This setting is only important if you have multiple rules. 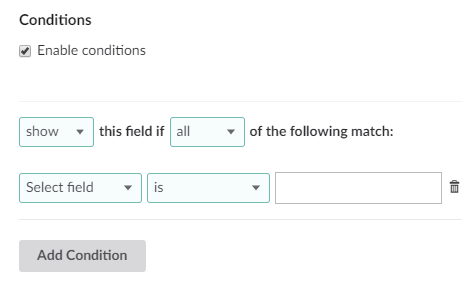 When adding a new condition you'll need to select the field where you want to evaluate the value and then you can also select an operator. 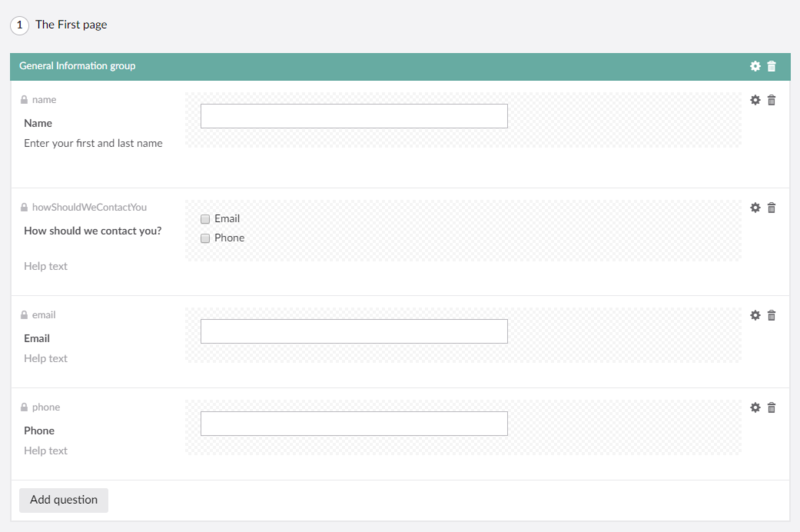 In this example we only want to show the Email field if the value of the How should we contact you field is Email. In the same way we only want to show the Phone field, if the value of the How should we contact you field is Phone. 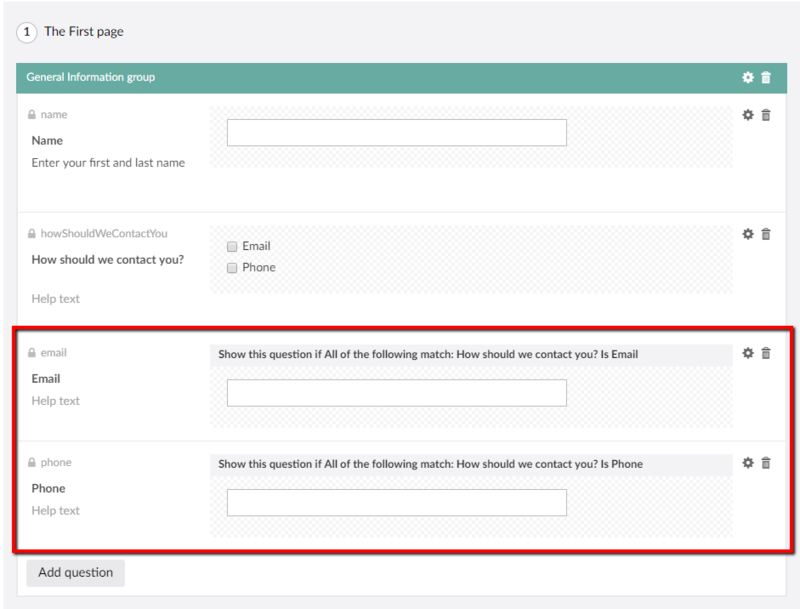 As we in this little tutorial have chosen to use a checkbox, it's possible to choose both 'Email' and 'Phone' in the 'How should we contact you' field. In that case, both fields will be shown.